Today it is Patriots Day in Massachusetts. On this day, we celebrate the victories at Lexington and Concord. We celebrate our part in the creation of the nation. For all of my life, today has also been the day of the Boston Marathon. A day when crowds would gather along Heartbreak Hill, at the Boston College campus. A day when every adult with the slightest sense of athleticism would gather on the green at Hopkinton, trying to run all the way to the Pru. Non-athletes like me would come into the city to cheer, to eat pretzels, to bask in the joyful glory of the day, to hand out oranges. The Boston Marathon was an innocent expression of spring rebirth. It was fun, and it was ours. Last year all of that joy and beauty and innocence was lost in a terrible cloud of smoke and blood. Last year, for me, was the beginning of the most terrifying event in my life. Last year we were all shocked and scared when the bombs went off; we all wondered with horror who could have done such a terrible thing. Last year we learned about little Martin Richard. We tried to make sense of the most senseless of deaths. Last year we saw Carlos Arredondo saving the life of Jeff Bauman. For those of us who live in the Boston area, there were too many shocks to count. We knew people who were racing. We knew people who heard the bombs, people who were caught up in the crowd running away. We knew people who knew Jeff Bauman. People who knew Sean Collier. We knew people who went to school with Dzokhar Tsarnaev. We stayed awake praying all night when our children were on lockdown after the terrorists were confronted in Watertown. We knew some of the cops who gathered that night to protect those children. Terror came home to us a year ago, and nothing was remotely normal. 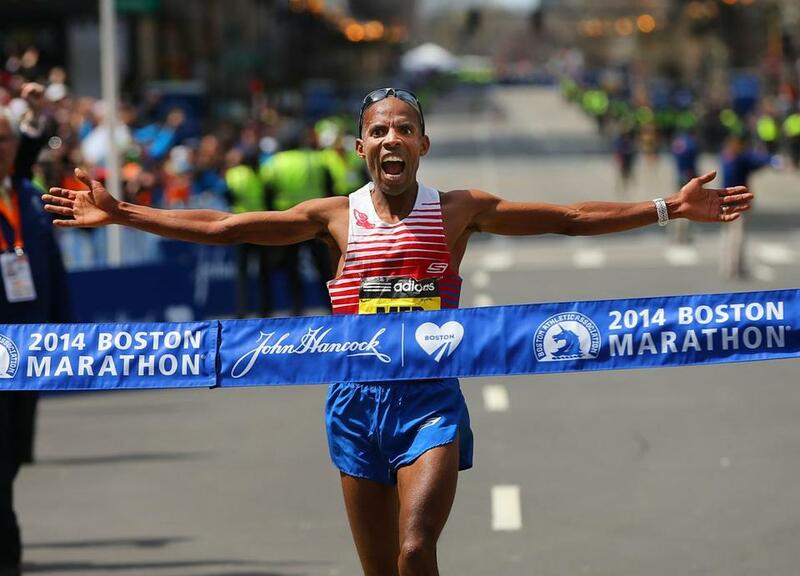 For a year, the words “Boston Marathon” meant fear and sadness and pain. For a whole year, we have all looked to this marathon, to this day, with nervousness and hope and clenched hands. And finally today has come and gone. I have never been so supremely happy to witness a normal, unremarkable, boring, commonplace day. A race that was mildly interesting, but nothing remarkable. Dear normality: welcome back to Boston! ← If I had it to do over….. I was even rooting for the Sox today. Now tomorrow is a different story. It was a strange, strange day….Glad that it is over! Wonderful post, Karen…and a sentiment shared by all, I would hope. Let’s hear it for Normal and Boring! Just so happy to have had a quiet marathon! Now its time to move on. I can only imagine how you must have felt yesterday. I was holding my breath that it would be just another normal day. It was weird…I didn’t even realize how nervous I was until my daughter and I compared notes last week on how we kept checking the AP Wire all day long, just to make sure that nothing was happening. It really was such a relief when the news coverage of the race seemed just plain repetitive….phew. Amen! Boston rises strong from the tragedy and you should all be very proud. Been a strange few weeks; just happy that we can turn our attention back to the Red Sox, where it belongs!